X2SIX More than a subwoofer, its an achievement of no compromises. Copying is the highest form of flattery they say. When we launched the groundbreaking X2C it moved boundaries. A 5″ voice coil on a 15″ sub was unheard of, but the basket design and spider landing idea was beyond imagination, forcing others to rethink their R&D. Always thinking ahead, we never had intentions of taking it all out with the X2C project, but more of making a statement back in 2014. It took some time before we saw the knockoffs, ripoffs or the so called inspirational items, but surely a few hit the market. Being prepared we were already working on the next stage, something more extreme, even more impressive and absolutely brutal. The X2SIX rose from the ashes of the X2C, without any limits or budgets to think of. Fully custom built to order with a multitude of options, the X2SIX is made of premium materials only. 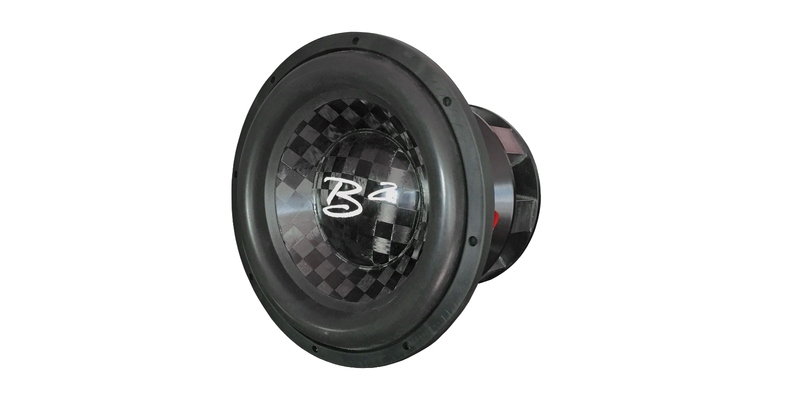 Imagine 5″ voice coils being large, then try a full sized 6″ flatwound US made voice coil. Increasing the spiderlanding by 7.25% makes the spider area equivalent to that of the 5″ coiled X2C. Using the same ferrite motor as the X2C would be the easy way. We don’t do easy! The added mass of the 6″ coil, the larger spiders and stiff cones, had us upgrade the motor to a Neodymium one. Not special you might think, well a N52 grade 7.32 cubic inch (118.125 cm3) neo magnet is massive, having a pull force of 479.9 lbs (217 kgs) and a surface field of nearly 5.5K gauss, it is a top contender for a strong magnet. Multiply that by 8 and you have the core force of the X2SIX motor. Each of these subwoofers are hand assembled by B2 audio in the proud regions of the Vikings. Hand laid checkered pattern carbonfiber dustcaps with matching cones, coupled to a tall and medium wide surround is one option, others are tall and narrow paper cones with 9.25″ composite dustcaps for a larger surface area, but who cares about the tech behind it? The X2SIX is for those that wants to be above the elite and therefore it will be a limited subwoofer that some might not understand or taunt. But as we saw with the X2C that experienced the same when launched, it got so popular that people started copying it. 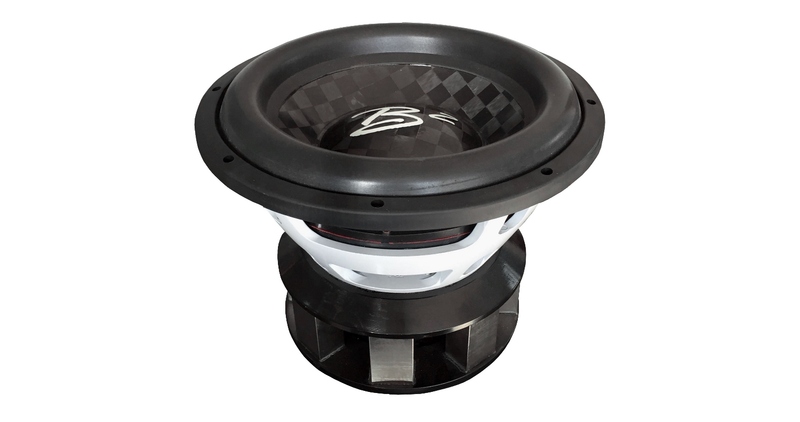 single layer spider X2SIX 33"
Voice Coil Diameter: 6" 6" 6"